Molding Services are a range of manufacturing services that cover the making of generally single part items by injecting or otherwise introducing usually a liquid into a shaped cavity to produce an exact positive replica of the cavity. In many ways, molding is akin to casting, where molten metal is poured into sand cavities and allowed to harden. Molding often is used to describe the production of plastic and other non-metallic materials, even though metal injection molding exists. Another general distinction between casting and molding is that casts are usually destroyed with each part they produce whereas in molding the cavities are often used many, many times. In addition to thermoforming and injection molding services for plastic, rubber, and metal, molding services include blow, compression, micro, dip, resin transfer, and open molding techniques. Among these, thermoforming, injection molding, and blow molding are particularly popular for shaping plastics. Thermoforming is used to produce packaging and large curved shapes from plastic film and sheet. Heat softens the material and then it is pushed or drawn or draped into or onto a mold. Injection molding uses a combination of heat and pressure to force molten plastic into closed cavities which open upon cooling to eject the molded items. Blow molding is a popular method for producing plastic bottles wherein pressurized air is used to force softened plastic cylinders outward against the walls of a mold, which then opens to release the item. 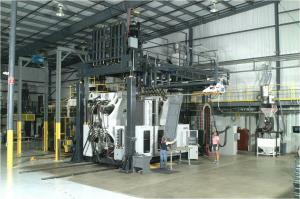 Many of the big three plastics molding services are automated or semi-automated. In the case of thermforming, thermoform, fill, and seal machines are often incorporated into food production lines where food, etc. is placed into thermoformed cavities and then lidded, evacuated, and sealed. Injection molding is similarly automated to a certain extent with operators required to cycle the injection molding machines but most of the process proceeds under machine control. The same holds true for blow molding. Molding is generally considered a high volume process due to the costs of the tooling needed for most processes. Some molding techniques such as compression, rotational, dip, and open molding are more suited to lower volume runs or high value products. Plastic Injection Molding makes thermoplastic parts usually with multi-cavity molds. Metal Injection Molding uses powdered metal and binder injected into molds and then sintered to produce near net shape metal parts. Rubber Injection Molding produces high volumes of rubber parts starting from uncured rubber ribbons. Blow Molding is a common technique for making plastic bottles and similar hollow items wherein a softened plastic cylinder is expanded with air pressure against the walls of a mold cavity. Compression Molding uses rubber and plastic preforms that are loaded into heated mold cavities and then shaped as the mold halves close. Vacuum Forming (Thermoforming) uses heat and vacuum to produce shapes in thin plastic sheets and films. Rotomolding produces hollow plastic shapes without pressure in rotating molds. Micro Molding is a high precision process for producing highly detailed miniature plastic parts as used in microelectronics, etc. Dip Molding uses male molds dipped into preheated resin vats to produce parts with toleranced internal features such as caps. Reaction Injection Molding is a variation of plastic injection molding wherein thermosetting resins are cured in the mold rather than just cooled as with ordinary injection molding. Resin Transfer Molding uses male and female dies to mold composite parts that are finished on both sides. Open Molding uses male or female molds to make composite parts that are finished on one side.